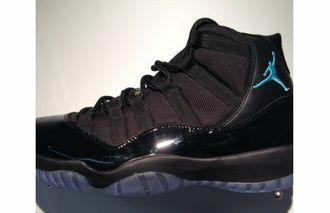 New photos are finally leaking of the Air Jordan Retro XI “Gamma Blue” set to launch for the 2013 Holiday quarter. Similar to the previously released photos, not may surprises besides the yellow heel 23. At this point it is fair to say the samples have left the factory and more detailed reviews should be close. The Air Jordan Retro 11 Gamma Blue is expected to drop 12/21/2013 at a price tag of $180 just in time for Christmas.